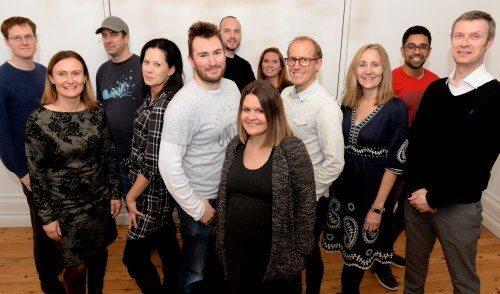 You get more with Creative Triangle: big-brand experience, small-agency work ethic, straightforward value for money. 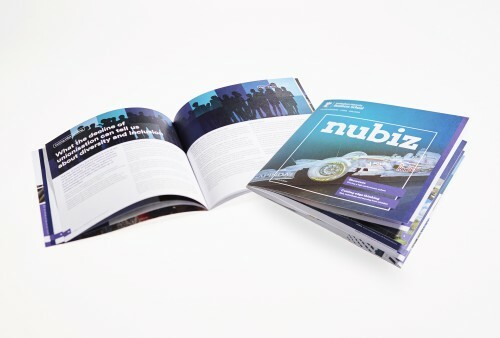 There's no marketing jargon, just big ideas shaped to the needs of your brand and your audience. We're easy to work with too. Not just because you'll know us all by name, but because we’ll all know your business as if it were our own. You'll feel like we're all part of the same team. 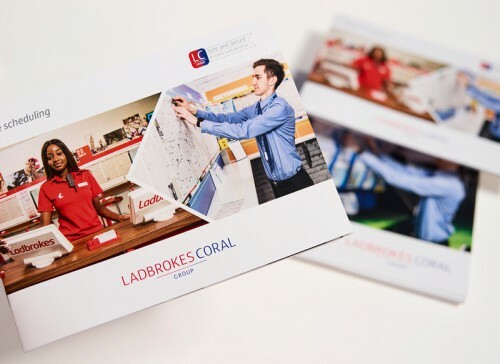 Our clients are as varied, colourful, and eager as we are: public and private, blue chips and start-ups. 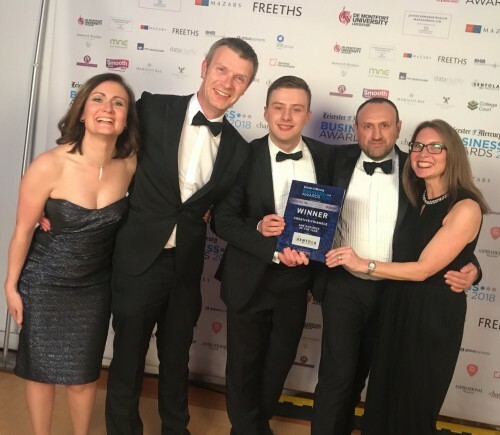 Why not give us a call? You'll be talking to people who speak your language. 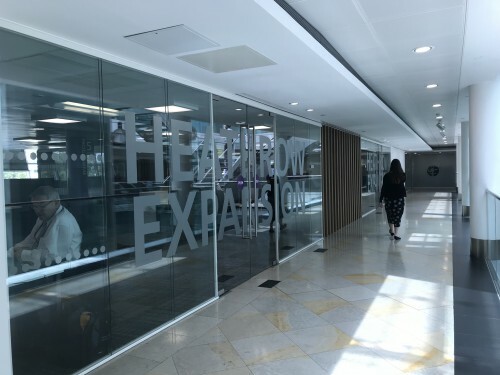 Congratulations to our client Heathrow as MPs have backed plans to build a third runway. 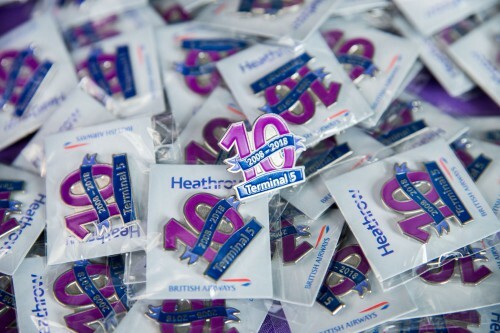 Creative Triangle were delighted to have been asked by Heathrow to help celebrate T5’s 10th birthday. 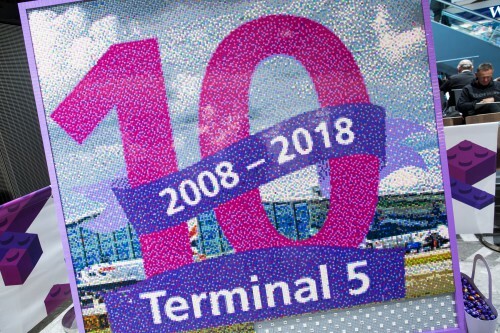 We created a birthday graphic which depicted the essence of T5 – this was turned into pin badges, a large format montage which collated images of T5 colleagues, even a Lego mosaic. 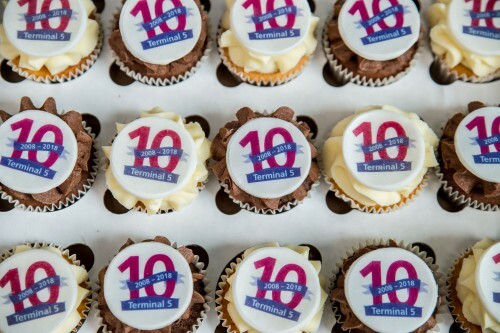 We also supplied 3,500 cupcakes, bunting and balloons! The event was a huge success which also saw the visit from a very special Royal. 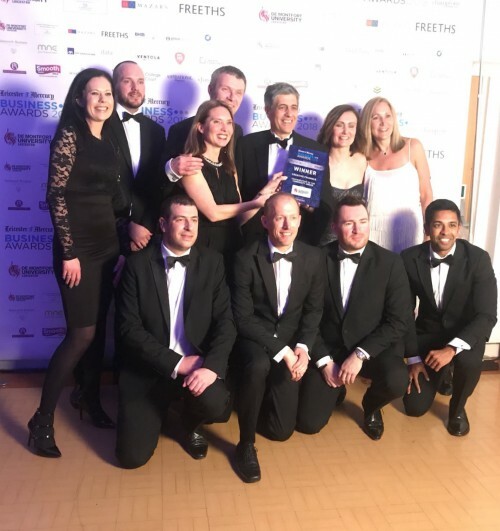 We are absolutely thrilled to be recognised for both our hard work within our community and as a successful small business by winning TWO awards at last night’s Leicester Mercury Business Awards! 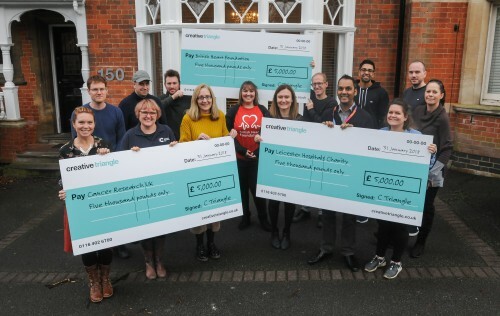 Go Team Triangle!! 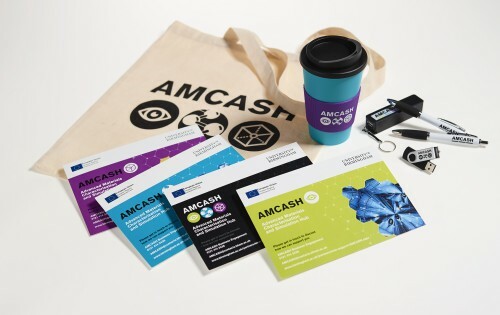 We were commissioned to develop a clean, flexible and modern brand identity, logo, marketing literature, branded goods, website & digital marketing for the Advanced Materials Characterisation and Simulation Hub (AMCASH) project, which is part funded by the European Regional Development Fund (ERDF), for the University of Birmingham. The brand needed to resonate with the Metallurgy and Materials sector and sit comfortably with the University’s and ERDF’s logos. 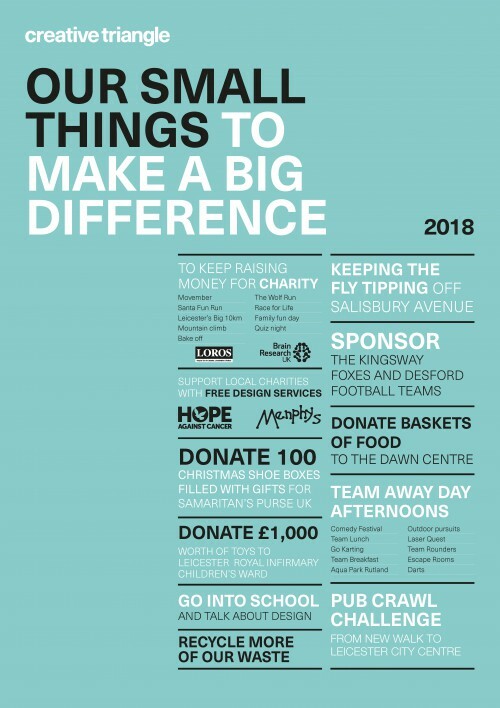 So far it has been rolled out on leaflets, a holding page for the website, exhibition banners and promotional materials including pens, bags, mugs and more. 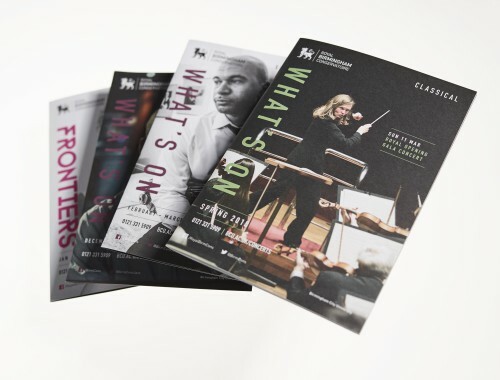 We are thrilled to have been nominated in The Drum’s Roses Creative Awards 2018 for Best Item of Self Promotion for our beautiful notebooks. 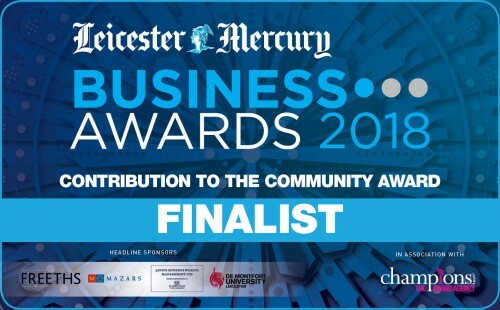 We are so excited to have been nominated for TWO awards at this year’s Leicester Mercury Business Awards! 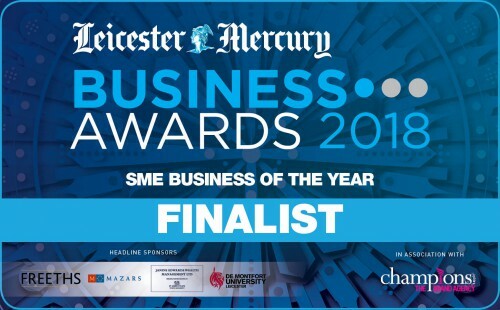 Nominated for SME Business of the Year and for the Contribution to the Community Award – both categories mean a lot to us and we are thrilled to have been recognised for our achievements. 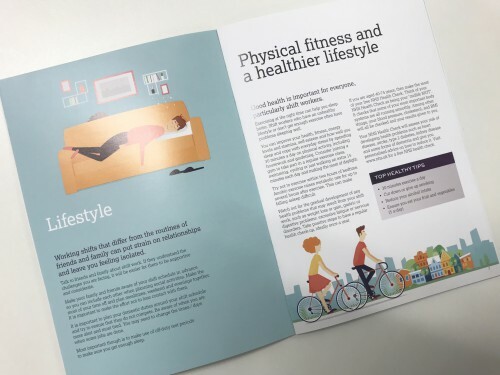 Creative Triangle have been assigned the task of helping to develop Heathrow’s Agile working strategy by creating an identifier and graphic style, manager’s toolkit, line manager brochure, case study films and launch event to encourage employees to support and engage with the communications. 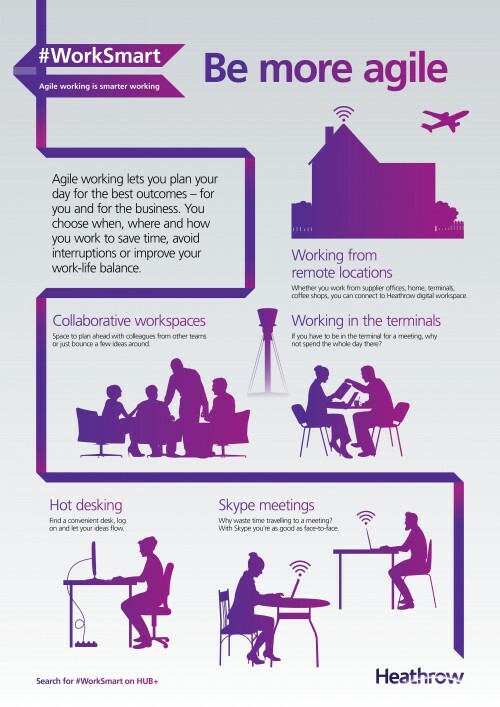 To help develop an environment and culture where colleagues are empowered to have more choice over when they work and the way in which they work we coined the campaign line ‘#WorkSmart: Agile working is smarter working’ alongside illustrations and a tickertape graphic to highlight the benefits of agile working. 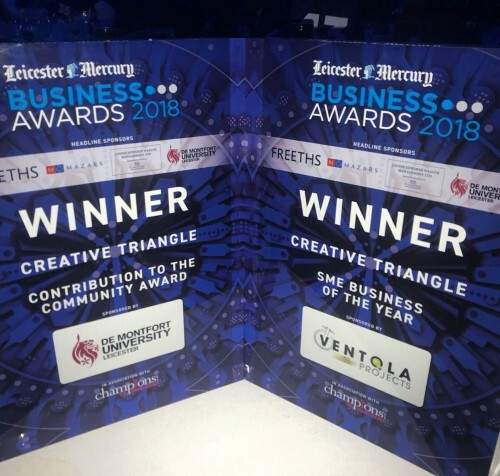 We are featured in today’s Leicester Mercury discussing all that is Creative Triangle – what we’ve been up to, who we work with and our exciting plans for the future.